Marie McGlothlin Obituary - Colora, Maryland - R.T. Foard Funeral Home, P.A. 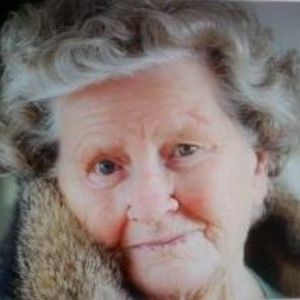 Marie Iona McGlothlin, age 92 of Colora, MD, passed away peacefully on Friday, April 12, 2019 at Calvert Manor Healthcare Center. Born March 16, 1927 in Whittier, CA, Marie was the daughter of the late Theodore Eshom and the late Elsie (Boling) Shively. Marie had a huge heart and was known for her compassion. Her giving nature translated into her career as a Certified Nursing Assistant, working in many nursing homes in her early career. In her later years, she dedicated thirty-two years of service to the Department of Veteran Affairs where she ran a community residence out of her own home. She cared for as many as thirty-one Veterans during that time and so many others who were in need. Following her retirement, she continued her work as a caregiver in the community. The depth of her compassion, love and integrity has always been a source of inspiration to her family. Though she loved caring for those in her community, her greatest joy was her family. She would always say, "My family is the best thing in my life," and her love for them knew no bounds. Marie is survived by seven of her twelve children: Kathryn Bothell, Sherrie Braun and her husband, Larry, Ann Hoderfield and her husband, Philip, Jane Goad and her husband, Mike, Alice Kokosinski , Douglas McGlothlin and his wife, Valarie and Nellie Banks and her husband, Dave. Marie was a loving grandmother to her 31 grandchildren and she cherished her numerous great grandchildren, great-great grandchildren and her great-great-great grandchildren. She is also survived by her brother, Donald "Dutch" Eshom. Including her parents, Marie was preceded in death by her loving husband, Isaac McGlothlin; five beloved children: George "Skip" McGlothlin, Dan Hanby, Ramona Hanby, Johnny Hanby , Joe Smith; and her two brothers: Larry and Eugene "Red" Eshom. A visitation will be observed from 10am to 11am on Wednesday, April 17, 2019 at R.T. Foard Funeral Home, P.A., 111 S. Queen St., Rising Sun, MD 21911. A celebration of Marie's life will begin at 11am at the funeral home. Burial will follow in West Nottingham Cemetery. Add your thoughts, prayers or a condolence to Marie's guestbook. Please enhance this tribute to Marie by adding your memories and photos.